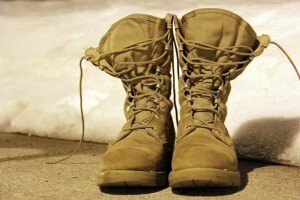 Syria: What Would Boots on the Ground Look Like? Pressure on the White House to escalate the Syria/Iraq war has no doubt intensified post-Paris. Should Islamic State take things further and strike an American civilian target, President Barack Obama would be all but forced to “do something.” What would that “something” likely look like, and what might be the pitfalls? Post-Paris, France and the United States immediately increased their air campaign in Syria. The visuals play well on television, as American audiences have seen over the last 24 years of airstrikes on Iraq. For an Obama appeared wary of deeper involvement in Syria, this may be enough to tamp down the pressure assuming no future attack on American civilians. France may also find a short and sharp set of revenge attacks enough for the near term, as Jordan did in at the beginning of this year, after the horrific burning alive of one its pilots captured by Islamic State. Things could settle back into a more routine fight. However, if Islamic State were to strike against Americans, President Obama would almost be required to escalate, and more of the same airstrikes and colorful missile launches would not satisfy demands for vengeance. They would not have been sufficient a year ago, and certainly not in the midst of a presidential campaign. Any perceived lack of resolve would hand the Republicans a red, white and blue issue to take them through the next 12 months, and Hillary Clinton would be forced to break with the White House. 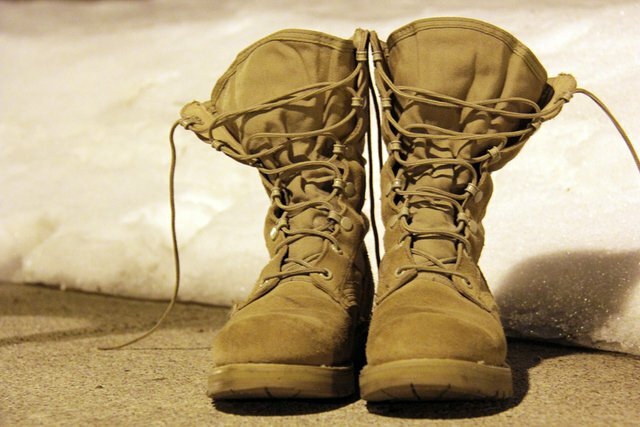 America’s escalation could take only one form: many more American boots on the ground. No one would call it an invasion, but that is what it would be, regardless of scale. The most likely paths into Syria would be through Turkey if that government blessed it (and remember, Turkey refused to open their borders for the 2003 American invasion of Iraq), or, most likely, via Jordan, with a smaller force from the northeast, across the Iraqi border. The United States has a notably infrastructure and a compliant government in place in Jordan. In May of this year, thousands of soldiers from 18 countries took part in war games in Jordan, overseen by the American Army. The Jordanians themselves are already considering a militarized “humanitarian corridor” into Syria that could easily morph into an invasion route. Since 2013, the United States has been growing its military presence in Jordan, to include strike aircraft, missle defenses and strategic planners, lots of planners, the infrastructure of war. An attack against Islamic State from the south might also isolate Damascus for follow-on action against Assad. From a military point of view, Israel and the Golan Heights it controls provide neat protection on the invasion’s left flank. Lastly, Jordanian involvement would help dress up the American invasion by giving it something of an Arab face. Sending large numbers of troops into Syria from the northeast, via Iraq, would likely encouch on Islamic State’s strongholds in northern Iraq and sandwich the United States between them and Islamic State fighters in northern Syria. Foreign fighters could also find their way in across the Turkish border. Still, moving airborne and special operations troops through Kurdish-held areas would be possible and necessary to reach Islamic State from another front. It would very surprising to see any significant American escalation in Iraq proper, absent perhaps inside the Kurdish confederacy. Americans dying once again in the Iraqi desert would be a tough sell domestically, the Iraqi government in Baghdad and its Iranian partners would be less than receptive, and militarily dividing Islamic State into a Syrian force and an Iraqi force would accomplish much on its own without re-inserting American troops into the Iraqi civil war. The problem with all this chess playing is the identical one that bred Islamic State into existence in the first place. As the United States saw in Iraq, Libya, and Afghanistan, winning on the battlefield is the easy part. Assuming Islamic State could be physically destroyed (a big assumption itself given its diffuse nature and political support among many Sunnis), what follows? Who will govern “liberated” areas? How much land will the Kurds seize for themselves in northern Syria and how will Turkey react to that? Syria is a wrecked wasteland flooded with internally displaced persons. Who will pay for reconstruction, and why would anyone think it would work any better in Syria than it did in Iraq and Afghanistan? Will the Russians simply stand aside? Scenarios that put boots on the ground are easy to foresee, and the possible on-the-ground strategies are clear enough to speculate on. How to deal with the aftermath is what really matters, and what’s the plan for that? Answer: The photo nails it — The Walking Dead. Peter, you already know the answer. After all…you already wrote the book. Same ole ending…different war. I can already read an IG report. 30 million for each new McDonalds. 40 billion dollars in cash missing. I can hear the Lords of War clinking glasses of $1k per bottle champagne while high fiving at the top of the Burg Kahlifa. Is Qatar a Gas as a vacation spot? Have some time off.